TorGuard, a VPN service provider, was recently given the cold shoulder by PayPal for providing BitTorrent-related services. Upon discovery of TorGuard's relationship with BitTorrent, PayPal abruptly froze the company's account, preventing the virtual network provider from sending or receiving payments through PayPal's service. TorGuard received this vaguely-written e-mail notifying the company that it had violated PayPal's terms of service agreement. When we reviewed your account, we noticed that your activity violates some of the agreements you have with us. Because of this, we’ve limited your accounts and can no longer offer our services to you. You’ll still be able to log in to view your transaction history, but you won’t be able to send or receive money. Concerned about the potential disruption and not knowing exactly what rules TorGuard was breaking, the company's owner called PayPal to resolve the issue. A PayPal business account representative informed him that PayPal does not allow the promotion of torrent trackers. The owner confronted the support representative and explained that TorGuard is a type of hosting service, not a tracker or a company that promotes trackers. The PayPal employee said the decision had already been made and there was nothing further which could be done. PayPal's reluctance to work with TorGuard is likely due to the cloud of requests and lawsuits which surround BitTorrent-related services which leverage PayPal to monetize their operations. Copyright holders have worked with PayPal in the past in order to identify website operators who are suspected of violating intellectual property rights. Additionally, the company routinely shuts off funding to such operations entirely. 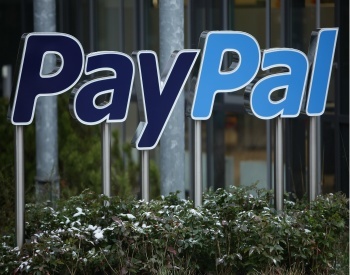 PayPal is well-known for suspending accounts which engage in questionable activity. However, sometimes, the online payment service drops accounts which aren't so questionable. Markus Persson, Minecraft's creator, knows this first hand as well as Regestry, a company who utilized PayPal to collect donations for purchasing children's toys to give away for charity. PayPal suspended Regestry's account because, effectively, charity is not a "worthy cause". TorGuard's owner seems mostly undaunted by the setback, however. Although the exclusion of PayPal payments may not necessarily be a good thing, he said that the site still accepts credit cards, pre-paid cards, Google Checkout and various other services.